Kathy and I connected immediately and our relationship became more than just a buyer-agent situation. I can honestly say from the heart that we instantly became “friends.” She made me feel so welcomed, like I had known her for years. She was so knowledgeable and explained the pros and cons of each development we had looked at. Her honesty and integrity is what won me over. I feel in love with the warmth of the Mexican people, the delicious food and the homes with the most fabulous ocean views, all within my price range. Unfortunately, I did not have enough money in my savings account to make my purchase in cash, so I put my home up for sale to make this dream come true. It is not easy to make such a huge decision to sell your house and move to another country. But that inner voice deep inside told me it was the right thing to do and I just went for it. Kathy held my hand through the entire process every step of the way, and we had many conversations over the phone, in many instances to simply put my unease and fears to rest. In January, after I had sold my home, I returned to Baja and continued on my journey searching for my dream home. I found it in Bajamar. I had narrowed my selection down to a few homes in different developments that were within my price range, but chose Bajamar because it felt so right and was a true paradise in every sense of the word. I met the staff there in Bajamar, and felt so comfortable and at “home” with them, especially the Broker, Mimi Mills, who is one of the most kindest-loving persons I have ever met, that I chose to live there and become part of their family. I found the cutest Mexican-villa in a gated community with an ocean view. My backyard is the golf course and I have the most spectacular views of not only the golf course, but the ocean and mountains as well. What a deal! Once I went into contract, I began working closely with Max Katz, Kathy’s husband. He is very knowledgeable and savvy on the Mexican laws, as well as one of the most mild-mannered men that I have ever met. Max “takes care of business” and always immediately responded to all of my questions and concerns. His “soothing” nature actually balanced my hyperactive personality and eased my apprehensions. I’m here to tell you that there is a lot of anxiety when purchasing a property in a foreign country, but when you connect with the right people that are knowledgeable and guide you through the process it makes the adventure so worthwhile, especially when you can trust them and consider them your friends. Max explained all the laws to me, and put to rest the myth about the 99 year lease. Yes there is a trust that is renewed every 50 years, but that trust actually protects foreign buyers. In fact, for all intent and purposes, Americans own the property outright and can sell or will/inherit the property to anybody, any time they like. I ended up financing a loan, and got a really good deal. The interest and points are totally tax deductible like they are here in the States. The closing costs are higher than they are in the United States and I started to panic about that, but Max and Kathy explained that because the laws are different, the paperwork is passed through more hands. They told me when it is all over, I won’t even think twice about it. On Friday, May 6, 2011, I signed off the escrow paperwork and obtained the keys. They were right. I am so glad I did and haven’t even thought twice about the expense of the closing costs. My place is beautiful and I am in a little paradise right next to the ocean. I will be retiring shortly and will be moving there full time very soon. There were green lights all along the way showing me that Baja is where I was supposed to be. I have found contractors to complete the work I need on the house at a very inexpensive price, and even found a place called Baja Movers that will move my belongings from the United States and take it through customs for me for a very reasonable price. If I had advice to give to someone who was contemplating purchasing property in Baja, it would be to “just do it.” Don’t pay attention to all of the horror stories you hear about Mexico and the cartel on the news. There is crime everywhere. If you don’t look for trouble, trouble will not find you. 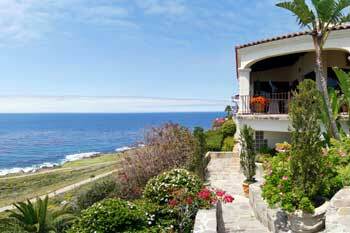 Brosw for Real Estate in Bajamar, Real Estate in Rosarito and more Real Estate in Ensenada.